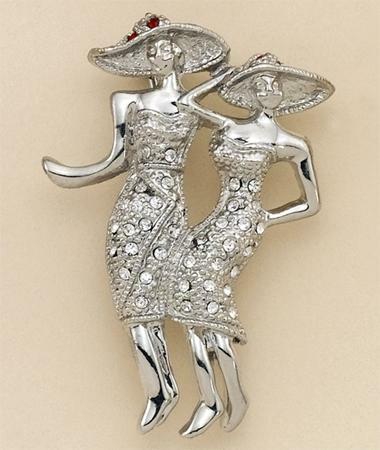 Beautiful 2-tone pin of two ladies with hats and adorned with Austrian pavee set crystals. 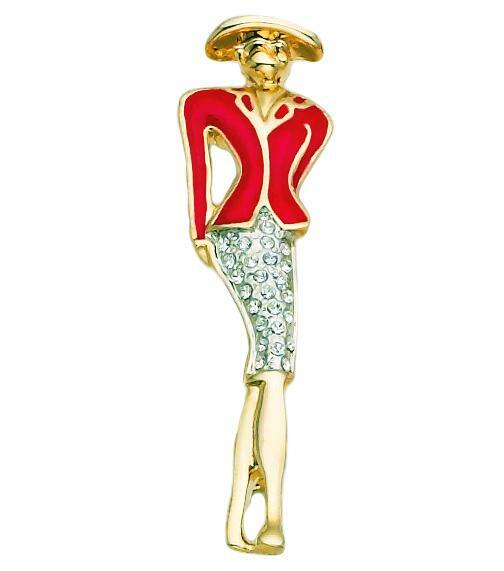 Silver pins are currently out of stock. Only 2-tone pins are available.